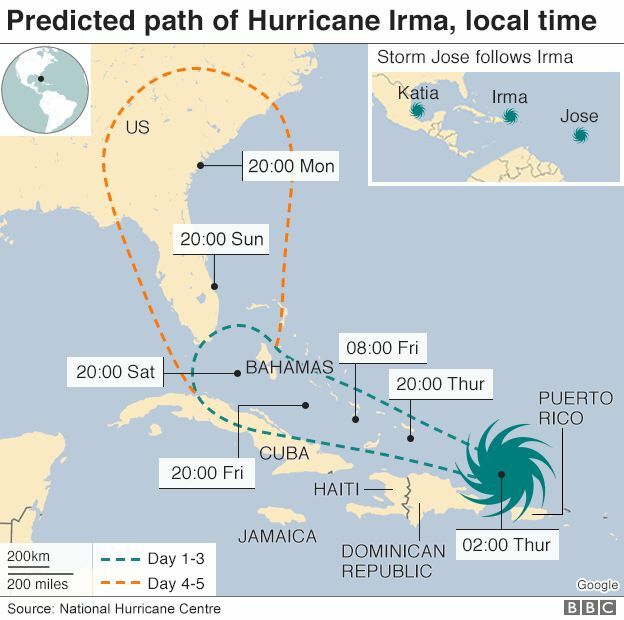 Just a short time after Hurricane Harvey left Houston in waist-deep waters, Hurricane Irma is ripping through the Caribbean with no remorse. Saint Martin has been destroyed, Barbuda is now “literally rubble,” and officials are warning that the death toll could rise. Irma is a category five hurricane, the highest possible level, and is now headed for Turks and Caicos. It is the most powerful Atlantic storm in the last decade, reaching wind speeds of 285km/h (180mph). First, Irma blew through Antigua and Barbuda, leaving at least one death, a child. 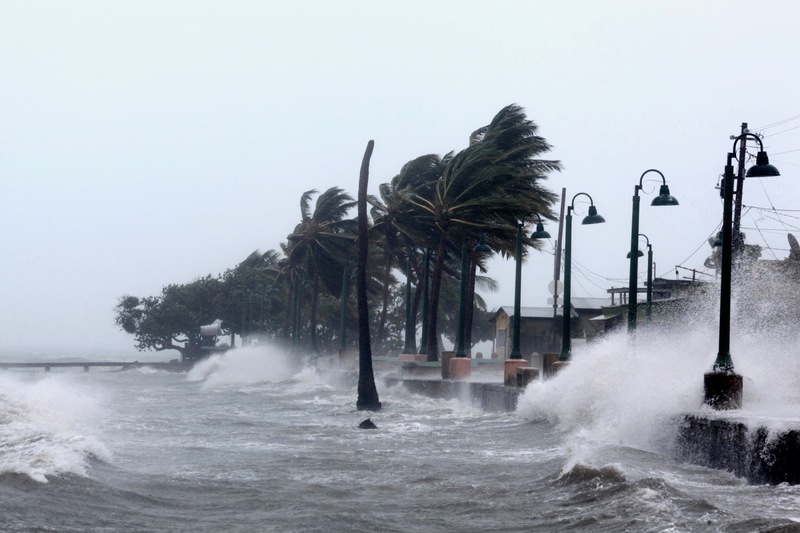 Barbuda’s Prime Minister Gaston Browne said that about 95% of buildings have suffered damage. Hurricane Irma first struck the dual-island nation of Antigua and Barbuda. At least one death, of a child, was reported on Barbuda, where Prime Minister Gaston Browne said about 95% of the buildings had suffered some damage. He has told the BBC that 50% of the population are now homeless, and costs to rebuild the island would most likely reach $100m. Luckily, Antigua (pop. 80,000) escaped devastation, with no lives lost. France has sent emergency food and water there, and to St. Bart’s, where Irma has also left heavy damage, and no electricity. Photos and video circulating on social media from St. Martin showed major damage to the airport in Philipsburg and the coastal village of Marigot heavily flooded. France sent emergency food and water there and to the French island of St. Bart’s, where Irma ripped off roofs and knocked out electricity. The southern half of the island has reportedly suffered immense damage as well, according to the Dutch Royal Navy. Irma has also left much of Puerto Rico blacked out. Residents of Miami, Florida are also rushing to brace themselves for a possible hit. We’ll be praying for the rest of the Caribbean islands, as Irma heads to Turks and Caicos. If you want to help, find out how you can by clicking this link.